Blue is one of my favorite colors for cars. 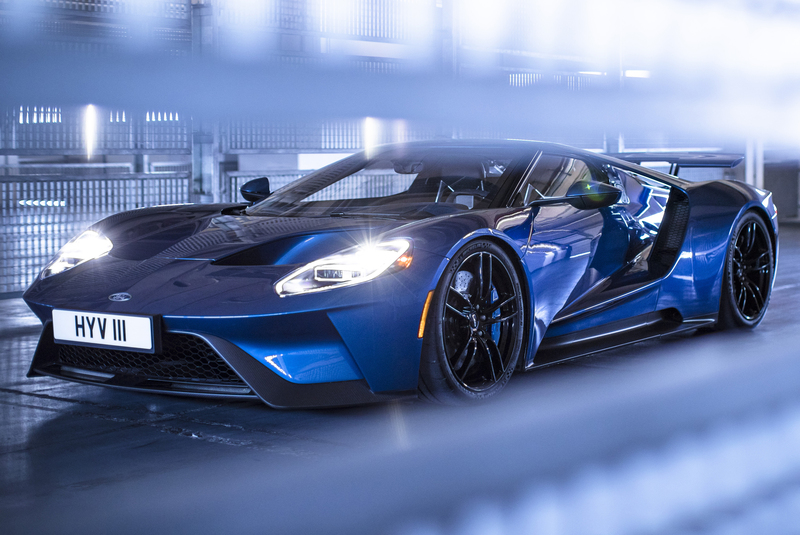 Just about any shade of blue on just about any car is okay by me, and from the looks of how many Ford GT buyers are picking this shade I’m not alone in my preference. After much consternation I chose Liquid Blue for my Ford GT. 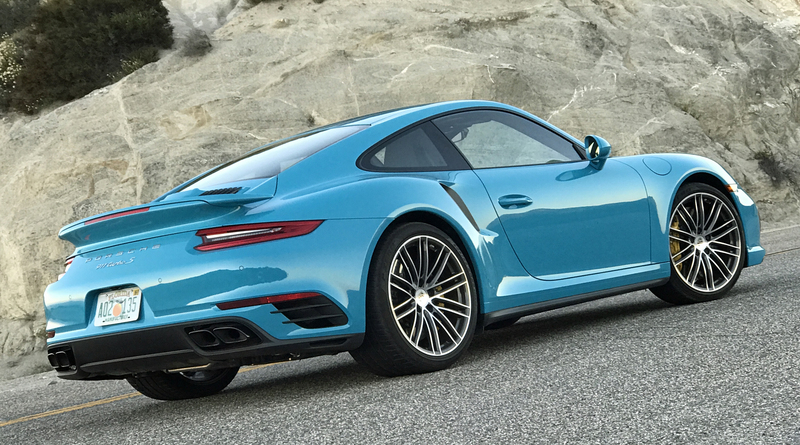 I almost went with a custom color, Petty Blue, but with so many other people picking custom blue colors from the medium, non-metallic Porsche blue family (Mexico, Miami, Riviera) I figured everyone would assume I’d also picked one of those. Paying for a custom color only to have it confused with other customer colors didn’t appeal to me. However, looking at photos of this 2017 Porsche 911 Turbo S confirms how much I love this family of colors. 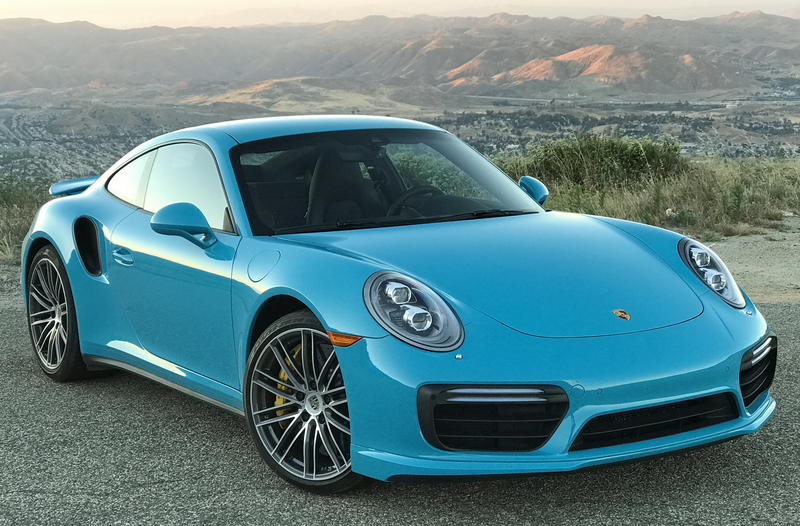 The 911 Turbo S was a test car I had last year, painted Miami Blue and looking fabulous from every angle. 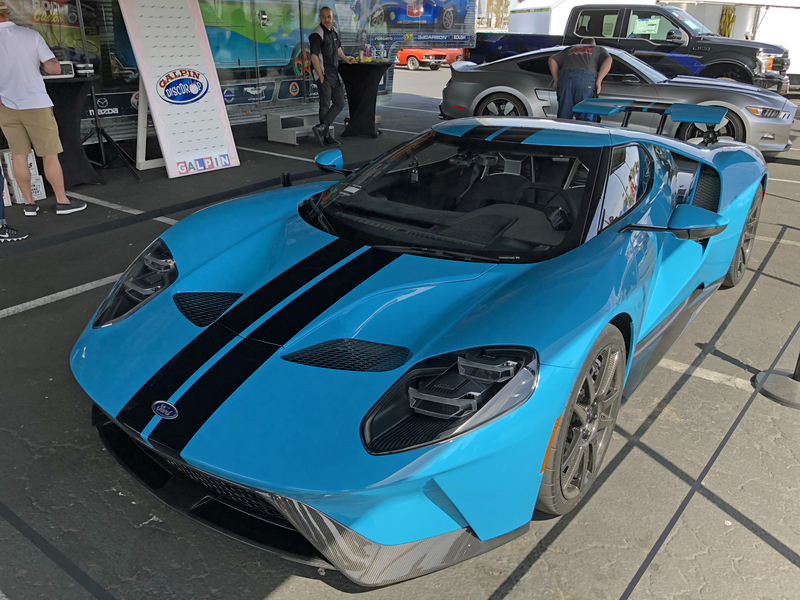 This color has already made a Ford GT appearance, on Jordan Maron’s car I saw at the Fabulous Fords Forever show. I’ve never heard of this guy, but my daughter knows him and when she saw images of his Ford GT she said it was “emo”, which I had to look up on Google. My daughter said it was the stripe that made it look emo, which goes to my “stripe or no stripe” post earlier this week. I still don’t really know what emo means, but comparing a solid Miami Blue Porsche 911 against a striped Ford GT in the same color I have to agree — no stripe is better, at least for this shade of blue.